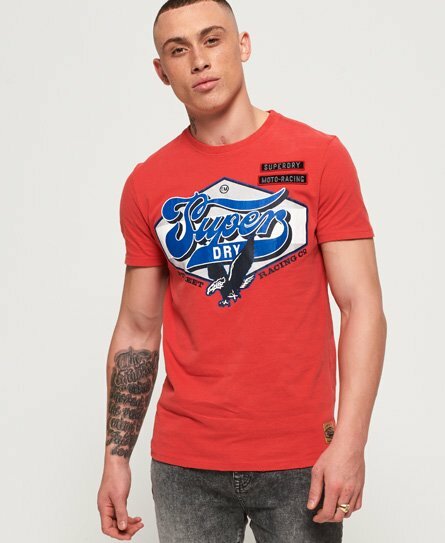 Superdry men’s Custom 1334 t-shirt. A crew neck t-shirt featuring a large Superdry graphic across the chest with a cracked finish. This cotton tee is completed with applique logo badges on the chest and an embroidered Superdry logo on the sleeve.